Writers ask me a lot of questions about wills. One of the most common: “what is undue influence?” Short answer: using a confidential relationship or position of authority to induce the testator (the person making the will) to leave his property a certain way or to take unfair advantage of him. A judge can invalidate the entire will or a specific provision. 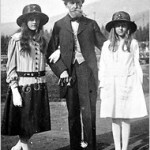 Like many Montanans, I’m fascinated by the story of Huguette Clark, reclusive daughter of Copper King William Clark. Her obituary reports that when she died in May 2011 at 104, relatives claimed they had been prevented from seeing her for years, and accused her lawyer and accountant of plundering her estate. (Both are now under investigation by the Manhattan DA’s office.) A will signed in April 2005 left most of her $400 million fortune to her nurse and charity. Now her nieces and nephews have filed a will signed just a month earlier leaving much of money–or what’s left of it–to them. No doubt the will contest will focus on claims of undue influence. What was her physical and mental condition when she signed the later will? Does the asset distribution demonstrate mental unbalance or influence? What was her relationship with the beneficiaries? Is there evidence of other misdeeds that might have unduly influenced her–like being intentionally isolated from her family? Do the gift of a $10,000 dollhouse to her lawyer’s granddaughter or a $1.5 million security system to the Israeli settlement where his daughter and her family live show a pattern of plunder–or an authentically close relationship? Proof that the lawyer and accountant stripped millions from her accounts during her life, with the potential for millions more in administrative fees after her death, could further support the claims of undue influence. 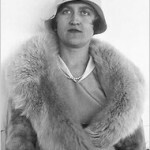 Hugeuette Clark’s fortune was gilded with copper, though she never lived in Butte, Montana, “the richest hill on earth,” where most of it came from. According to an investigative series by Bill Dedman of msnbc.com in 2010, she lived in a NY hospital the last twenty years of her life–despite owning a $24 million Connecticut estate, a 42-room apartment on Fifth Avenue, and an oceanfront Santa Barbara estate that she hadn’t visited in more than 50 years. She died surrounded by her childhood doll collection. It may be that Huguette Clark never recovered emotionally from the death of her older sister in 1919, the scandals that still trail her father, her own divorce in 1930, or a host of other rumors and potential embarrassments. From life’s tragedies, writers draw inspiration–for the emotional trauma, the telling details, even the ways the law can serve–or be abused. This entry was posted in writing about legal issues and tagged Butte Montana, Huguette Clark, undue influence, William Clark, wills by Leslie Budewitz. Bookmark the permalink. Before I started on this lucrative (!) writing career, I was the ED for a large legal services organization for seniors in Alameda County. I started an annual state-wide conference on Elder Abuse issues and undue influence was ALWAYS one of the best-attended workshops. Big problem for APS and law enforcement, and will only get bigger as the population of elderly increases. It’s a hot topic in the senior services community. Thanks for talking about it, Leslie. Fascinating post, Leslie. And one reason I love to read (and write) fiction. We may never know the real story behind this story, but in fiction, we almost always find out what really happened, and justice is served. Love your new blog–very classy. I’ve been following this story in the NY Times…. Your comments are informative, hope you’ll keep us apprised. I have been fascinated by this story after reading about her years ago, when she was “living” in a hospital room that was hidden from even passers-by. Thanks for the legal input, Leslie!